Ready to be treated to a vacation in one of our Luxury Cabins (based on their Deluxe Amenities)? You will enjoy the clean, comfortable plush of these fancier Smoky Mountain accommodations. 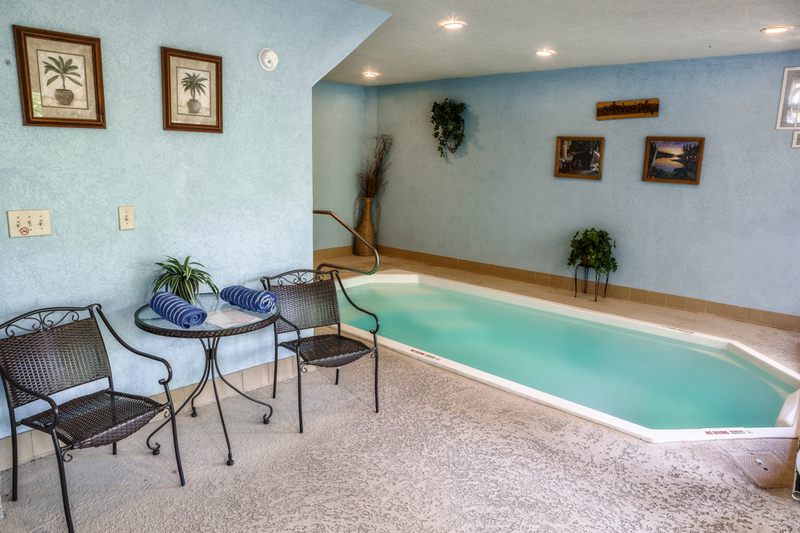 Coming home to your very own 100% PRIVATE Indoor Heated Pool makes for the vacation of a lifetime. This is our Most Popular Cabin so book it early to enjoy the “coolest” cabin ever. Cabins in Pigeon Forge TN from Honeymoon Cabins with Private Indoor Pool to Large 5br Cabins. From a Romantic Honeymoon to a Large Family Vacation. Are you planning a Smoky Mountain Vacation and looking for a selection of Cabins in Pigeon Forge TN? Our family here at Bear Tracks Cabins works hard so you can enjoy a mountain home away from home. We strive to give you a fully furnished deluxe cabin for about the same price you would pay for a cramped hotel room. 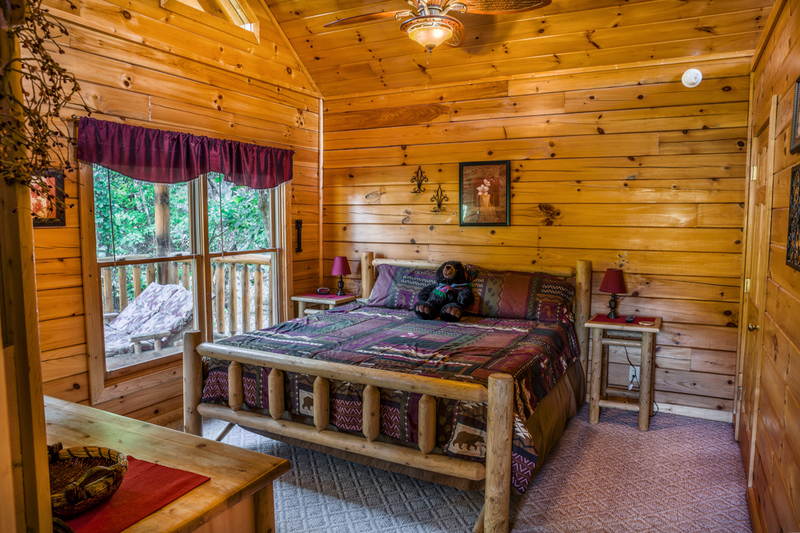 Our cabins are all in relaxing locations near Pigeon Forge, Gatlinburg and Sevierville with beautiful views but still close to all of the great attractions in Gatlinburg and Pigeon Forge. Going to Dollywood while you are in the Smoky Mountains? We have log cabins that let you be close enough to hear the Steam Train throughout the day, but still in a private mountain setting. 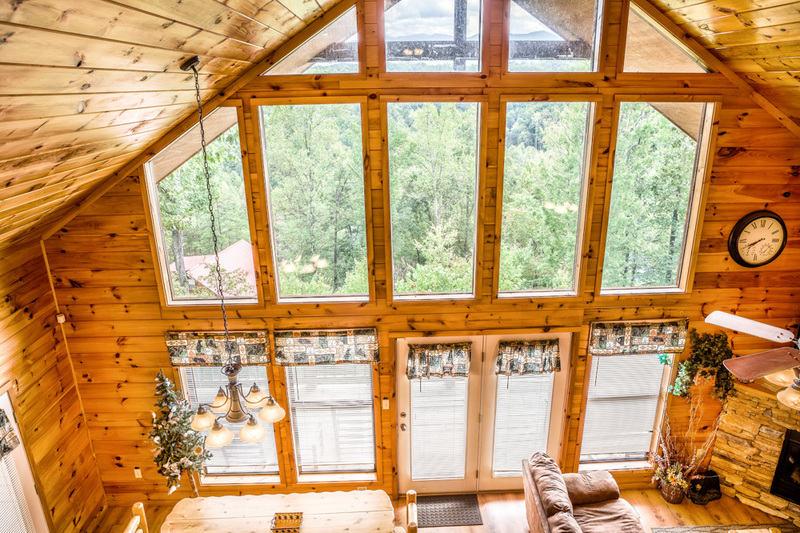 We work hard to make your cabin the most comfortable by contracting with a heating and cooling specialist and cleaning services. Are you looking forward to walking the strip in Downtown Gatlinburg, visiting the Ripley’s Aquarium of the Smokies or spending some time away from the commotion in the peaceful Great Smoky Mountains National Park? Or are you are just planning on hitting Sevierville and enjoying fantastic shopping or restaurants at the Tanger Outlets? Maybe you are a show go-er and want to see the world famous Comedy Barn, Dixie Stampede or Magic Shows that the area has become so popular for. 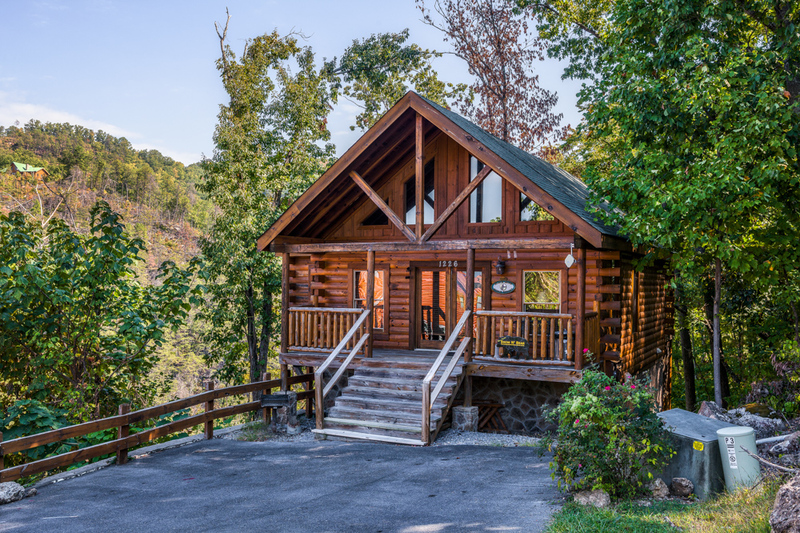 Our Smoky Mountain Rental Cabins are in the Perfect locations to be your hub for all of these amazing attractions in Pigeon Forge, Sevierville and Gatlinburg. Looking for Cabins in Pigeon Forge for a Honeymoon or Anniversary?. Honeymoon, Anniversary or a Romantic Getaway? We have some perfect cabins for 2– Check out Swim n Bear, our Deluxe Honeymoon cabin with it’s very own PRIVATE SWIMMING POOL and Heart Shaped Jacuzzi tub right inside the cabin – It is also super fun for small families who want to swim in privacy. 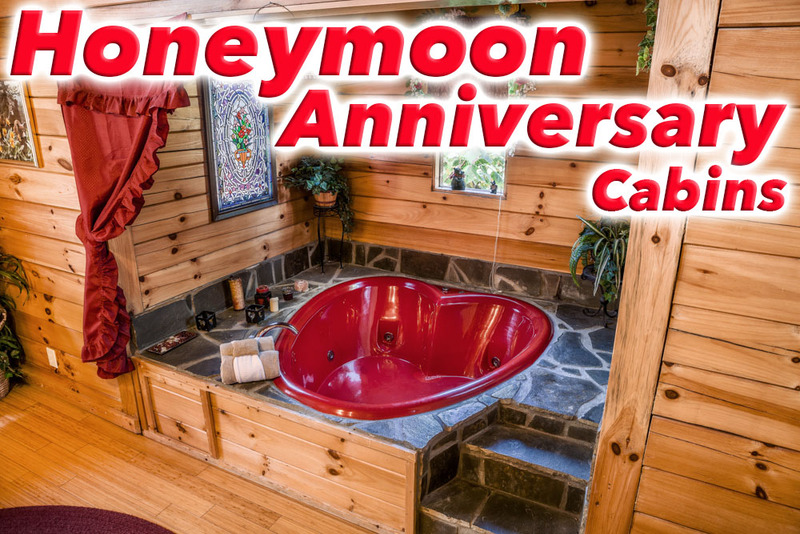 Other Honeymoon Cabins in Pigeon Forge can be seen on our Honeymoon and Anniversary cabin page. 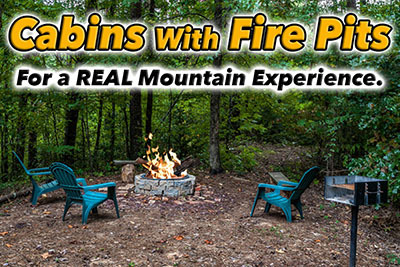 If you are looking for Fire Pit Cabin in Pigeon Forge you can see our selection here Cabins in Pigeon Forge with a Fire Pit. Mountain Lodge is a LARGE 5 bedroom cabin that sleeps up to 16 comfortably. It has 2 full Kitchens, Formal Dining Room, Kids Loft and separate Bunk Bed Room, Large “Cracker Barrel” Style front porch perfect for rocking away your stress in one of the rocking chairs. We also offer the Mill Creek Three which is 3 of our most popular cabins that are a very short walk from each other that you can rent as a block to enjoy having your own private cabin at night but staying close to friends or family. It is perfect for church groups and retreats as well. 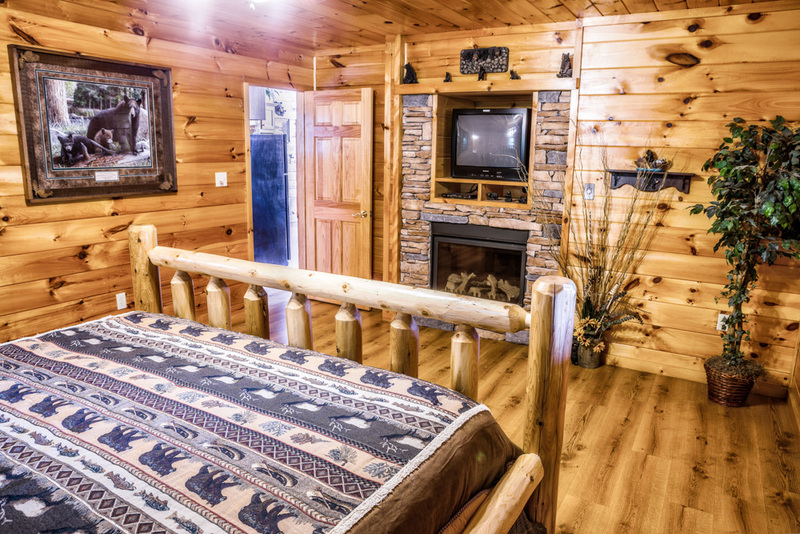 All of our cabins are designed and furnished to allow you to relax and disconnect from the hustle and bustle of a busy life while still having the option of enjoying all the modern day conveniences you want on a vacation. 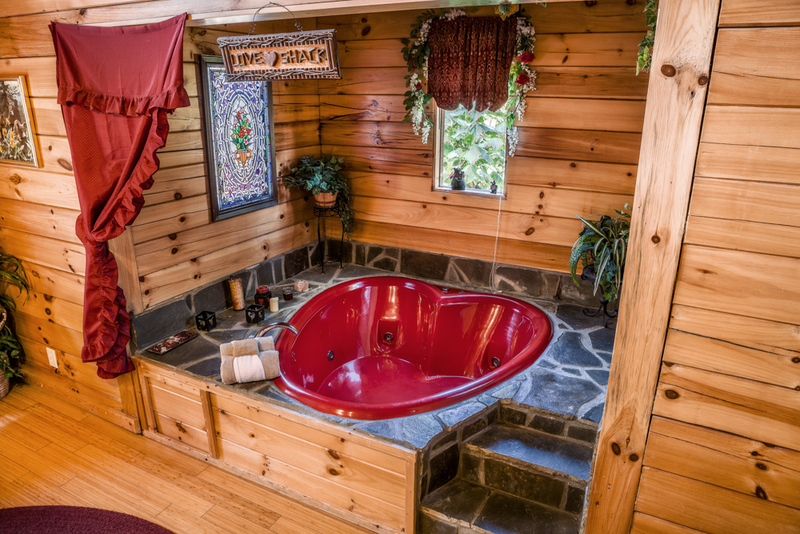 Our cabins have wonderful Hot tubs so you can soak after a long day playing at Dollywood or Hiking in the Smoky Mountains National Park. Another staple of the Pigeon Forge and Gatlinburg Cabin Scene is the illustrious Pool Table. All of the Bear Tracks Cabins have Pool Tables and are free to enjoy as much as you like. We also strive to have other games and amenities for you and your family to enjoy while at your rental cabin as well. Every cabin is a little different as to what it includes but some have video game systems, DVD Players, corn hole games, board games etc. Once you rent a Cabin near Gatlinburg or Pigeon Forge you will never want to go back to a hotel room. A proper overnight rental cabin will make you feel like it is your second home to enjoy on your vacation. If you want to enjoy the feel of a real mountain cabin with the convenience of being close to Dolly wood and Close to everything else in our fun town check out our Pigeon Forge Cabins Close To The Parkway page. The smell of the wood, the sound of the crickets at night and enjoying the hot tub in the middle of summer or as the snow falls in the winter months, it all just feels fantastic. 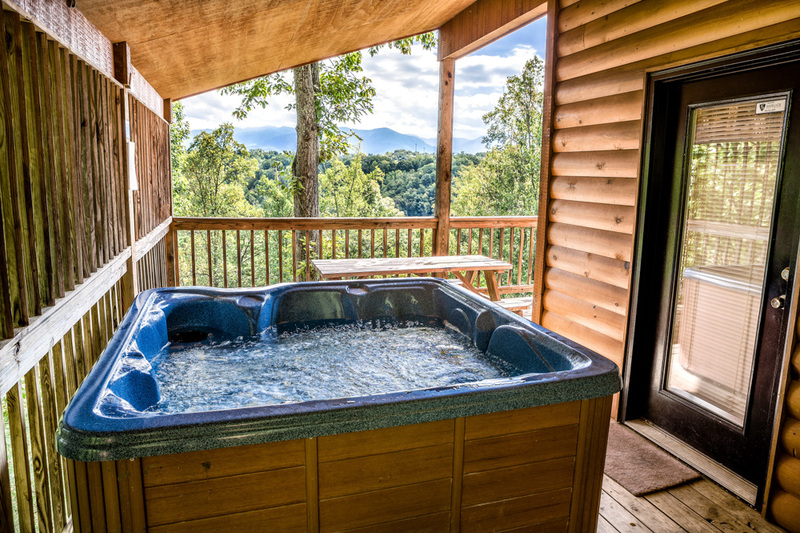 All of our Smoky Mountain Cabins have hot tubs and they are drained and sanitized after each guest checks out by our committed team of property maintenance and cleaning professionals. Most hot tubs are located on the back deck of your cabin giving you the most private location that is possible. Nothing feels quite as good as soaking in the hot water at night under the Smoky Mountain Stars. We are a Family owned cabin company and each cabin we own and operate is sure to be in a secluded yet convenient location. 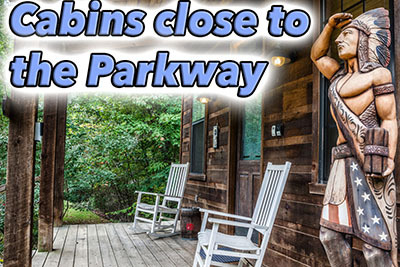 We want to be sure all of our Cabins are close to the Pigeon Forge Parkway while still being close to the Downtown Gatlinburg Strip. All of this while maintaining a private, secluded and relaxing wooded or mountain view. We have cabins that are cheaper than many hotels and larger with a full kitchen. 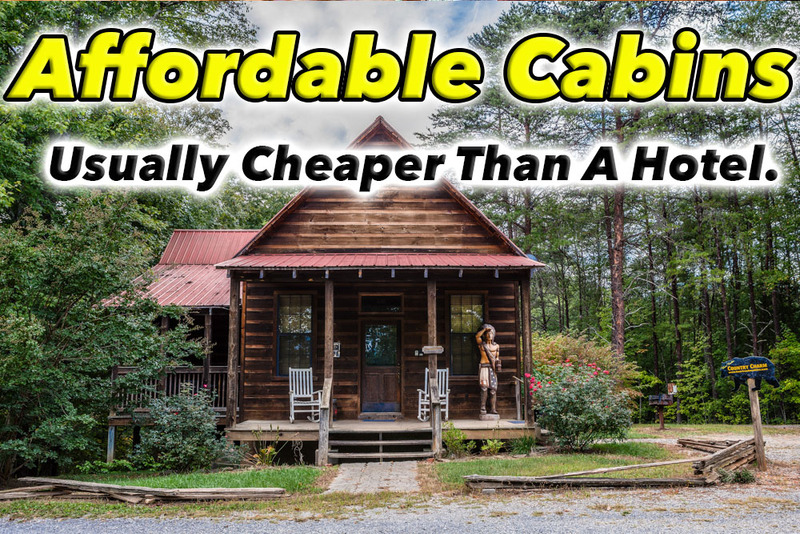 See our most affordable cabins on our Cheap Capins in Pigeon Forge page. This is the perfect affordable solution for a romantic get-away or a family vacation you will never forget. Many times of the year we rent these cabins under $100 per night and in the weekday off season many are cabins under $80 in Pigeon Forge. 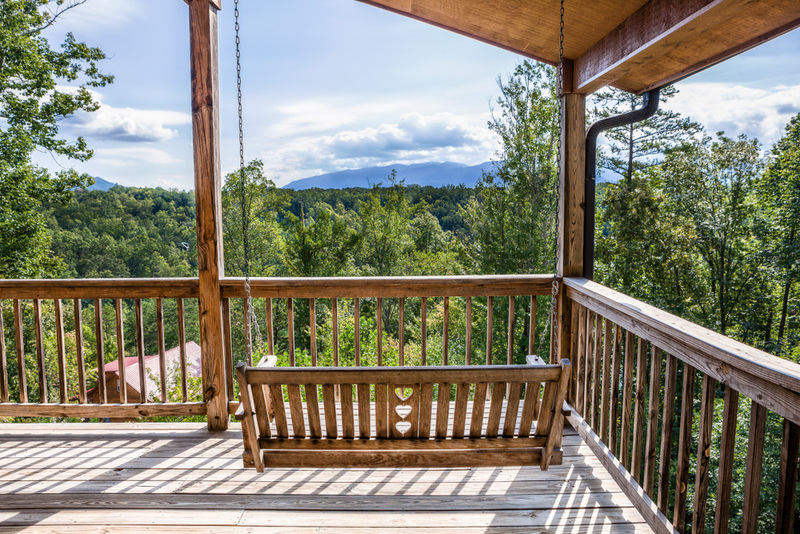 We want to make your Smoky Mountain Vacation Rental dreams come true.